What does the picture look like for women in business? Key statistics offer a quantifiable look at the reality that indeed supports the case for progress, while at the same time, show a significant gap between men and women when it comes to leading organizations. Twenty years ago, the Fortune 500 list of CEOs included no women, according to the Pew Research Center. 2014 marked a banner year for women at the top levels. The center’s statistics showed that for the first time, more than 5 percent of the CEOs of Fortune 500 companies were women, with a total of 26 female CEOs on the list. In addition, the percentage of women on corporate boards of Fortune 500 companies grew from 9.6 percent in 1995 to 16.9 percent in 2013, according to center research. One out of 10 Fortune 500 companies are comprised of male-only boards. In their first post-MBA jobs, women earn $4,600 less than men with the same qualifications, according to Anna Beninger, director of research at Catalyst, a non-profit organization dedicated to creating inclusive workplaces where women and men have equal opportunities to advance. As women move to higher levels, the gap grows to more than $30,000. At the same time, women are making significant contributions. According to Catalyst research, companies with the highest representation of women on their top management teams experienced better financial performance than companies with the lowest women’s representation. Graduate business education offers a way for women to enhance their business career prospects. Forté Foundation brings together companies and business schools with a focus on increasing access to business education and business opportunities for women. The foundation offers scholarships, increases awareness, and spearheads other activities, many of which focus on education. In particular, EMBA Programs can support women in business through a number of ways. 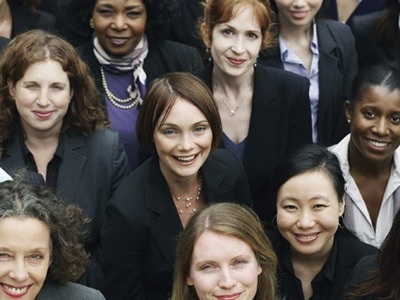 A strong professional network helps support advancement of women, says Beatrix Dart, director of the Initiative for Women in Business and strategic management professor at University of Toronto Rotman School of Management.